U. of I. senior Johnny Chang is the president of Entrepreneurs Without Borders, a student-led group aimed at building marketplace literacy in low-income, low-literate communities. If birds of a feather flock together, then there’s a good chance that, out of the thousands of freshmen from all over the world who join the University of Illinois family each fall semester, someone shares your passion for … underwater hockey. Or extreme ironing. Or hula-hooping. Or … whatever else that you can find four other people interested in, whether it’s boxing, beatboxing or sky diving. Student groups play an important role in the social fabric of college life, so much so that there are more than 1,400 registered student organizations on the Urbana campus – the most of any Big Ten school, according to the Office of Registered Organizations. “The idea of getting you and your friends to start a group to be able to do things together is something that drives us,” said Dementro Powell, the assistant director of the Office of Registered Organizations. “We recognize that our students are diverse and have a number of ideas and shared interests, and that they will inevitably have ambitions to form a group in order to be part of something, to feel like they are accepted and belong on campus. According to Powell, a new group requires five members (a president, a treasurer and three authorized agents) and a common interest or passion. And as long as the group allows anyone to join and it falls under university guidelines, “You’re a club,” he said. Student groups are not technically affiliated with the university, which means they don’t have a faculty member or adviser hovering over them. So there’s no small measure of hustle and ambition that’s required to start and maintain a club on campus, Powell said. When groups start out with five members and then balloon to tens or even hundreds of members, it can become overwhelming, Powell said. “That’s something we’ve seen. There are a few clubs with 500-600 people, and the president comes to us and says, ‘Now what do I do?’ We do our best to help them and advise them on how to manage their growth,” he said. Leading a club or being an actively involved member in a few is a good way to shrink an otherwise sprawling campus down to a more manageable size. “We are finding that students who are connected to a registered student organization – whether it’s in a leadership position or just as an active member – have an increased involvement on campus and typically fare better in their classes,” Powell said. According to a survey the office conducted a few years ago, students involved in groups were confident that the relationships they formed with their fellow members would last after college. Multiple respondents noted that the group setting allowed them to interact with individuals from different backgrounds, which was helpful in cultivating tolerance and acceptance of other cultures and viewpoints. Students also reported that being involved in groups forced them to get out of their comfort zones and learn career-friendly skills such as public speaking and time management. “Being involved is definitely beneficial to your experience as a U. of I. student,” Powell said. But he cautions students not to be overly ambitious. Current groups on campus range from the semiserious to the serious. For every 104-degree Illini Hot Tub Club (“A social club geared towards de-stressing from campus life by hot tubbing!”), there is Entrepreneurs Without Borders. 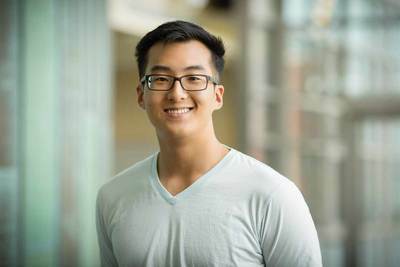 Johnny Chang, a senior in statistics and computer science from Saratoga, California, is the president of Entrepreneurs Without Borders, a student-led group aimed at building marketplace literacy in low-income, low-literate communities. A former business student, Chang said he was inspired to revive the dormant group after taking business professor Madhu Viswanathan’s class on subsistence marketplaces and product development. For Chang, it was an eye-opening experience. Chang said his experience in Entrepreneurs Without Borders informed his stint at Google, where he was a software engineering intern over the summer. It also affected his experience as a student at Illinois.